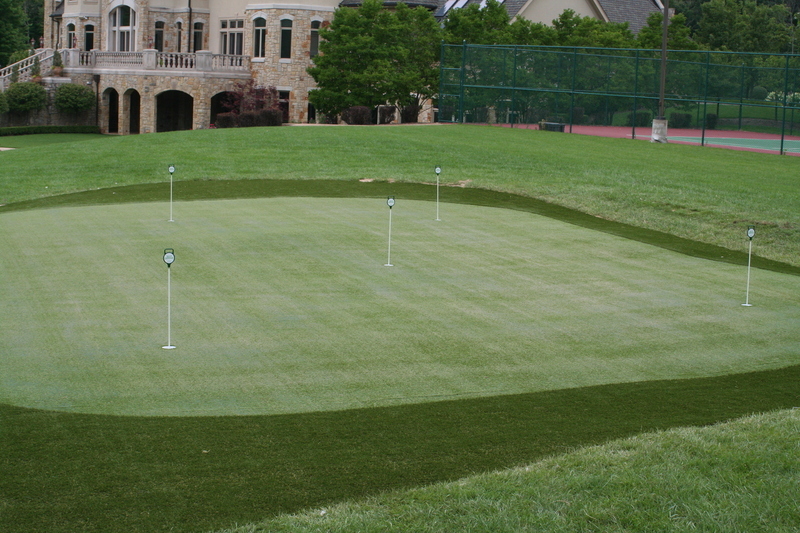 Tour Greens Practice Greens are engineered to provide the look, feel and performance of a natural bent grass green, without the required daily care and maintenance. 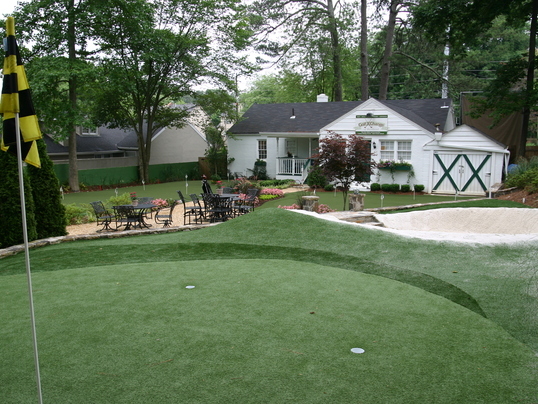 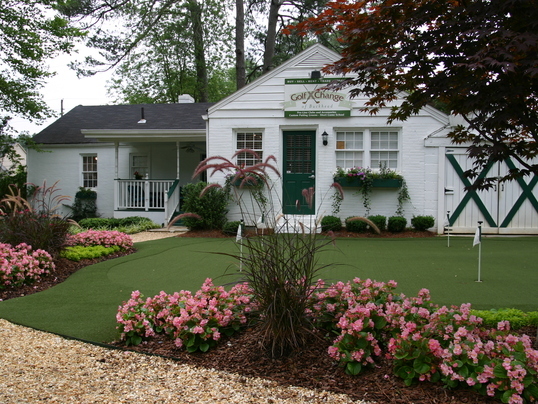 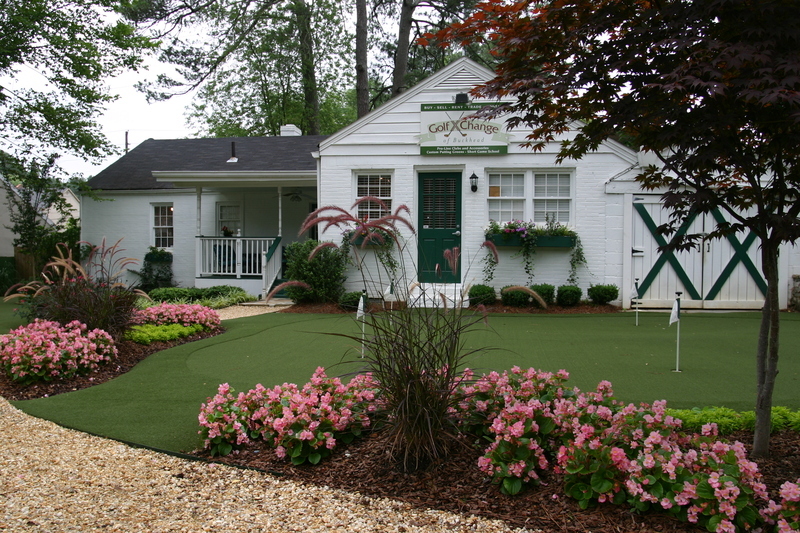 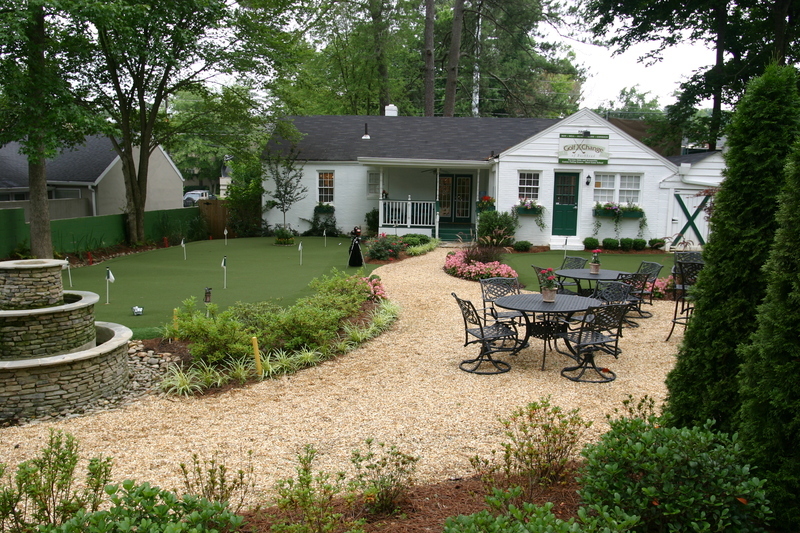 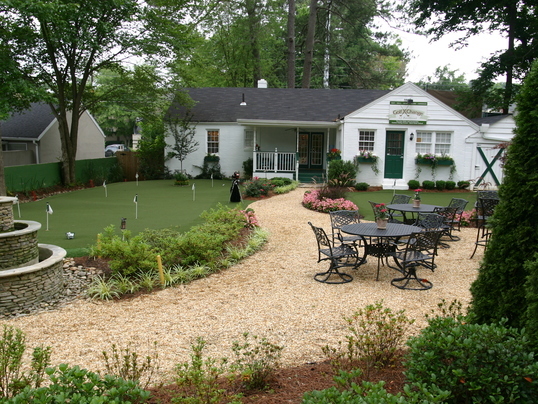 Tour Greens Practice Greens utilize our revolutionary synthetic turf, infill and base system to replicate the beauty and consistency of a healthy, well-manicured natural grass putting green. 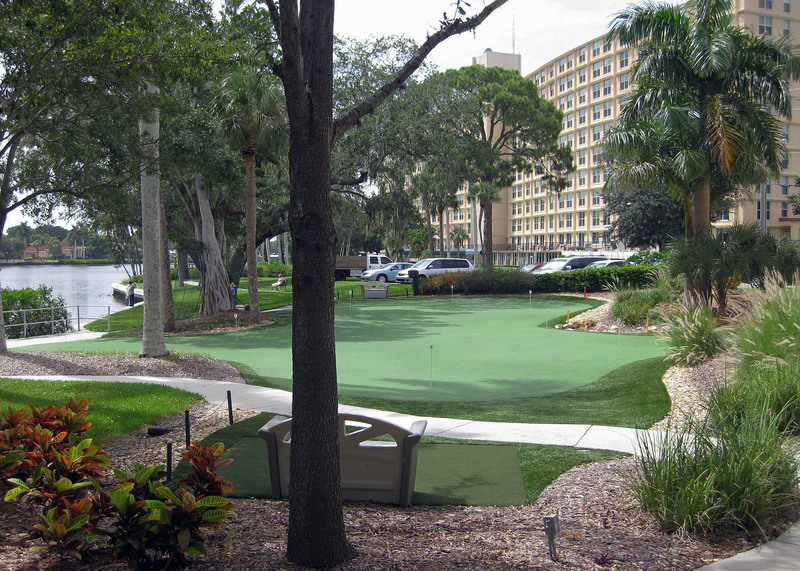 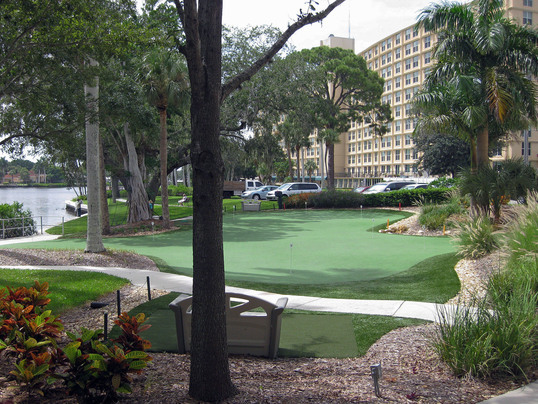 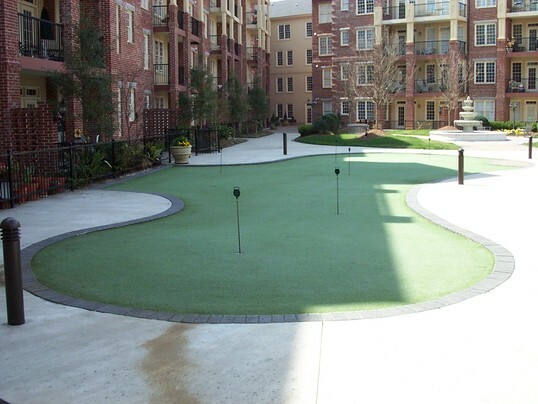 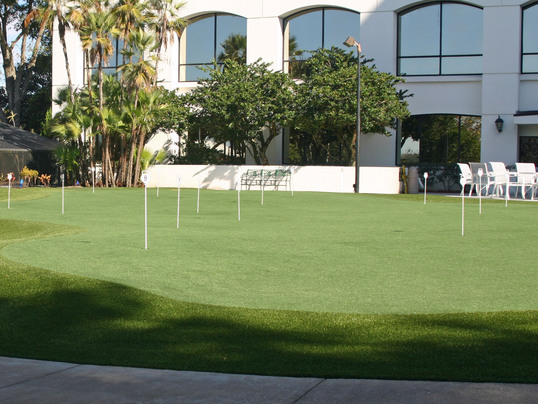 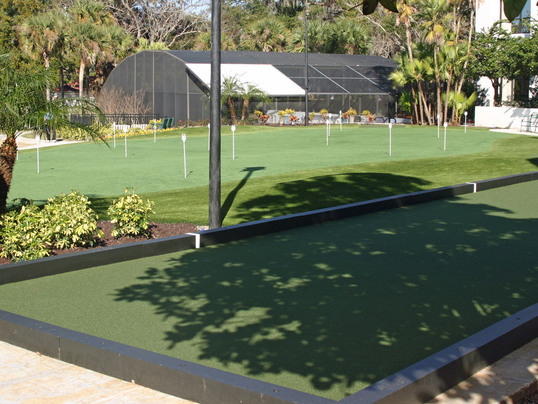 Our practice greens are built to stand up to heavy commercial traffic, inclement weather conditions, while maintaining our high performance standards. 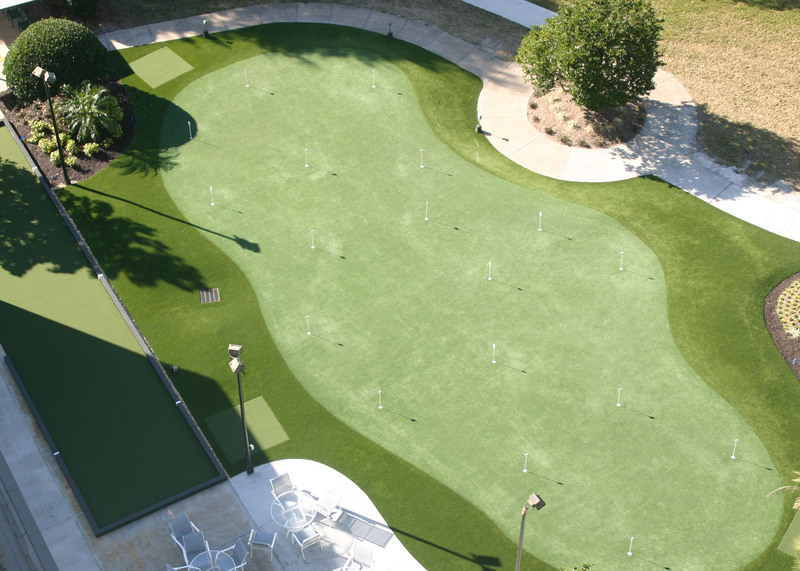 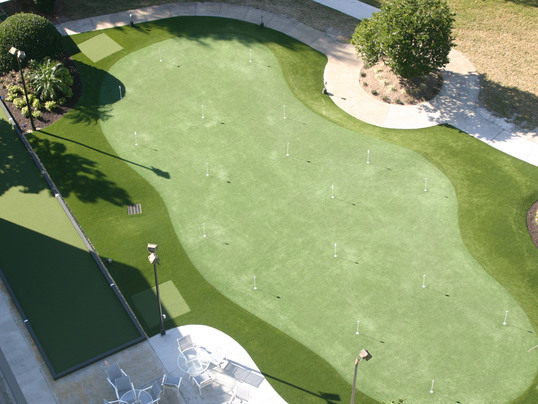 To simulate the look, feel and performance of a natural grass golf green, Tour Greens Practice Greens utilize an innovative synthetic turf made with fibrillated polypropylene fibers and our proprietary RQS™ Infill System. 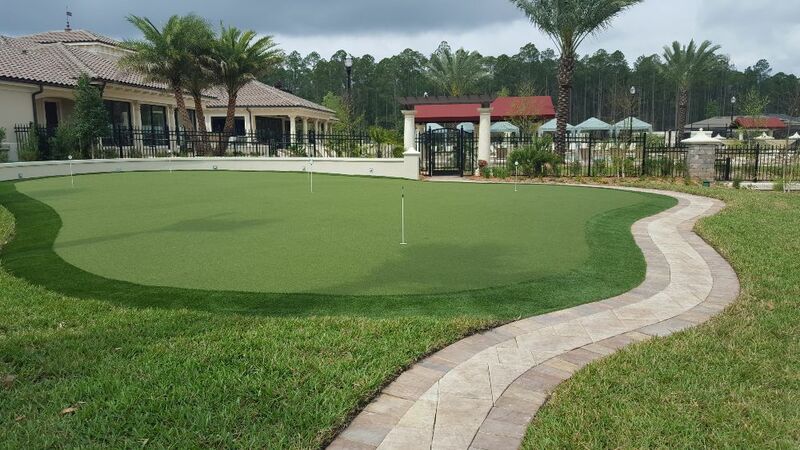 This advanced technology provides consistent ball roll for putts and natural reaction for chips, flops and short pitch shots. 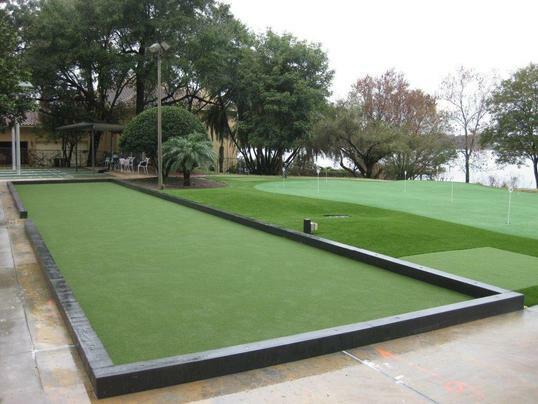 The ball will actually check up with well-struck shots! 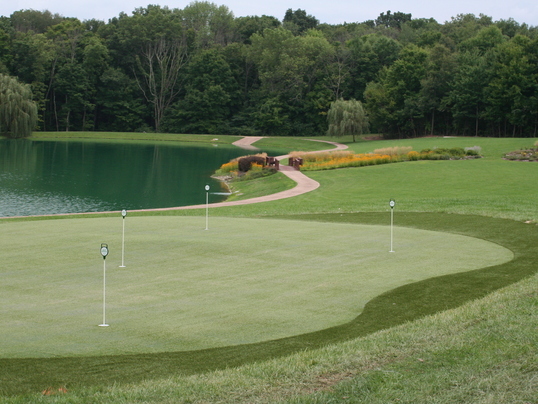 Tour Greens Practice Greens closely mimic the performance of natural bent grass. 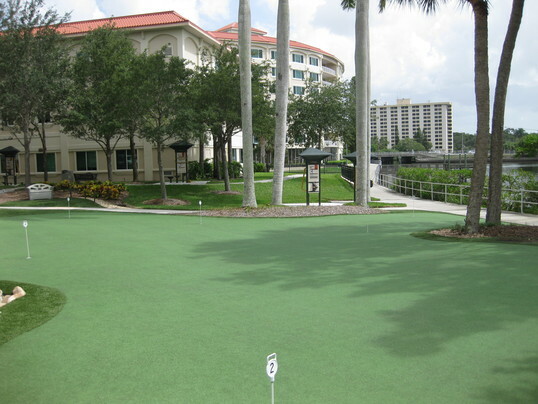 The ball rolls evenly and consistently across the entire length of the green, and well struck shots with spin will react and check up like natural grass. 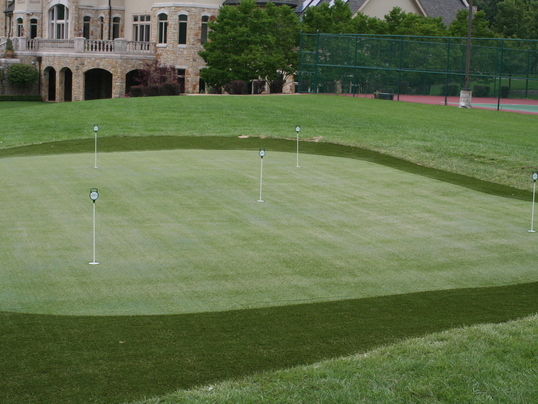 The surface speed of a Tour Greens Practice Green can be customized to your preference; our staff can even match the speed of the natural grass putting greens on your course. Golfers will love the consistency of the practice green and you will love the durability and low maintenance requirements. 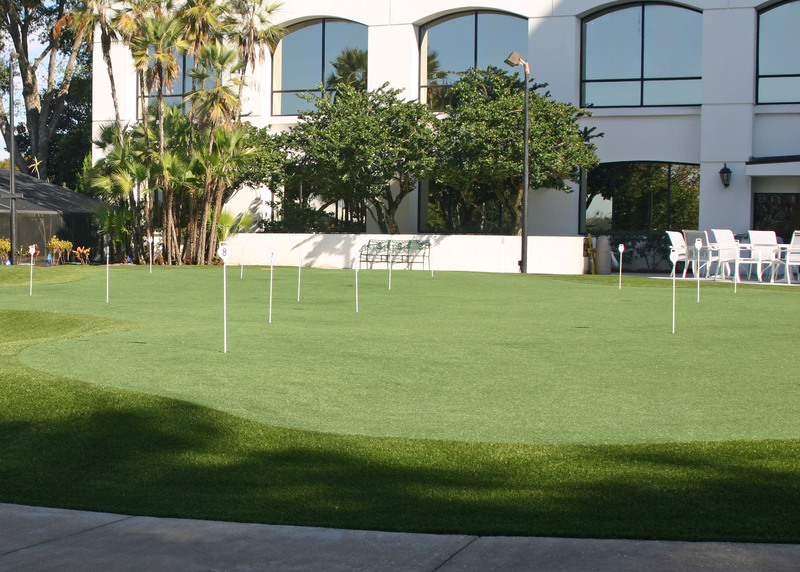 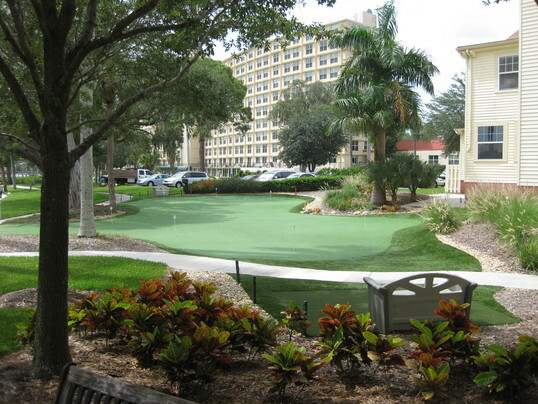 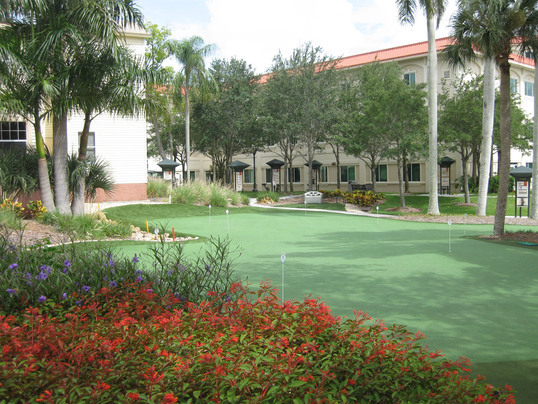 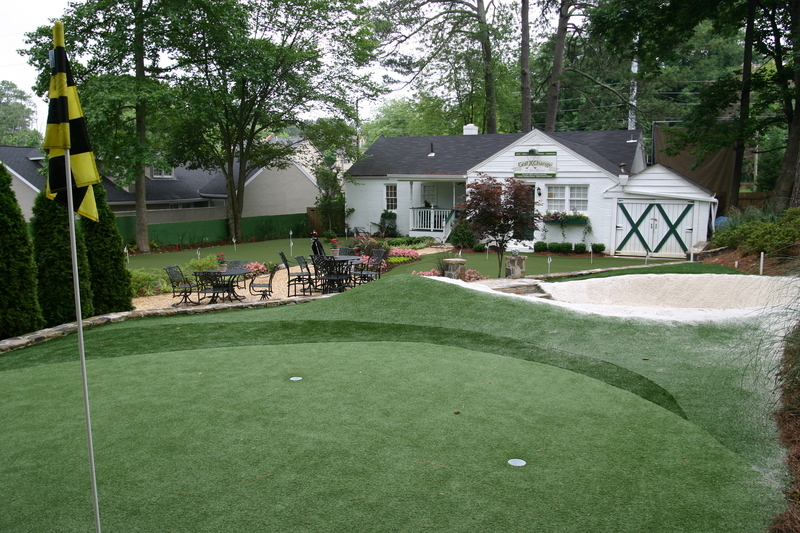 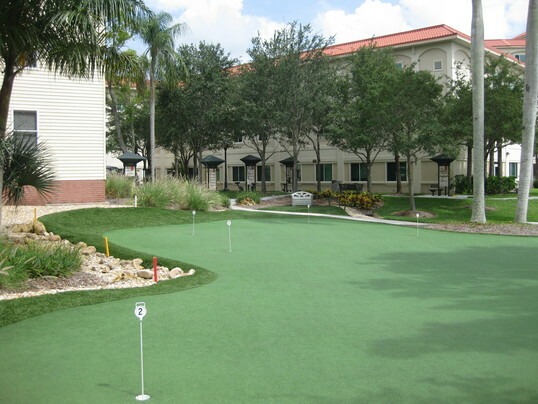 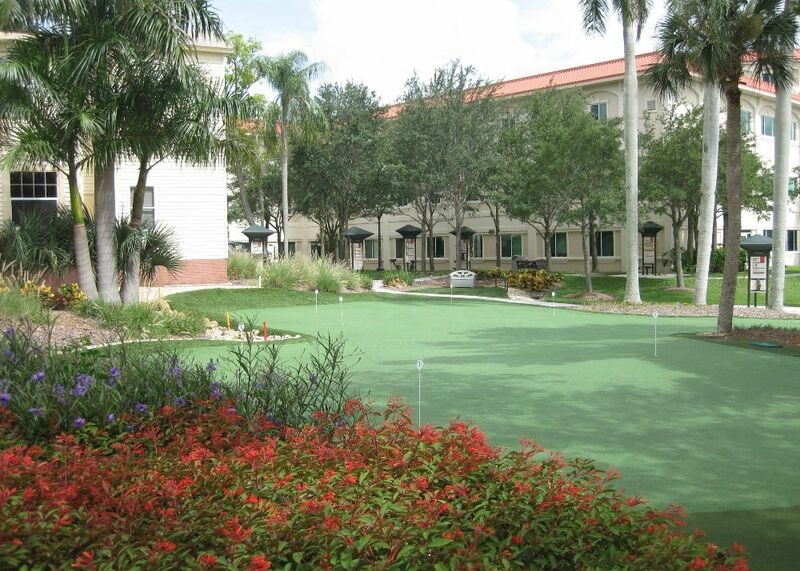 Our practice greens are designed to be virtually maintenance free. 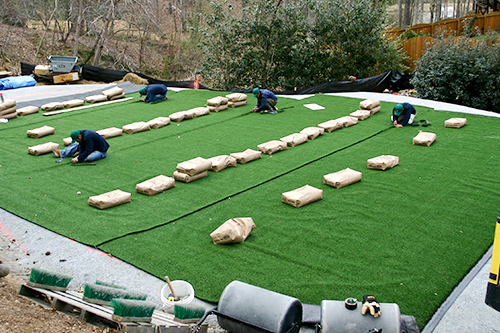 They require no water, seed, chemicals, fertilizers and very little in the way of upkeep, saving you thousands of dollars a year. 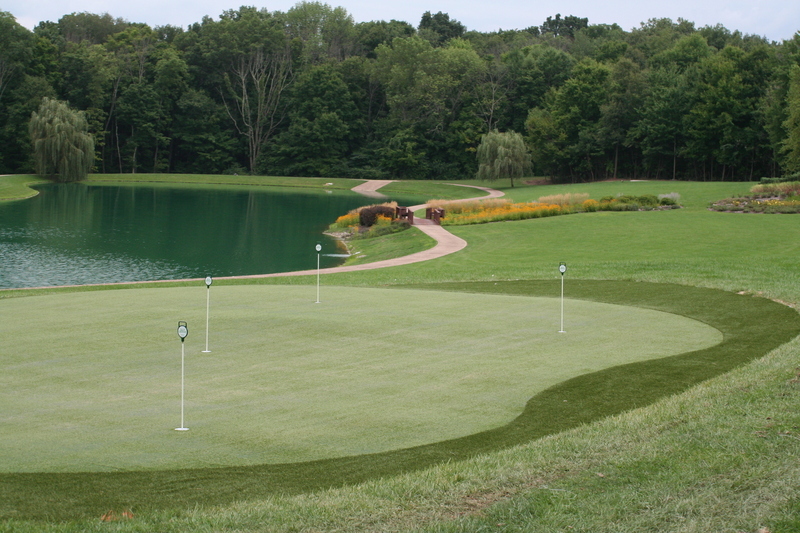 For optimal performance, we recommend brushing, adding new top dressing and rolling the green 2-3 times per year. 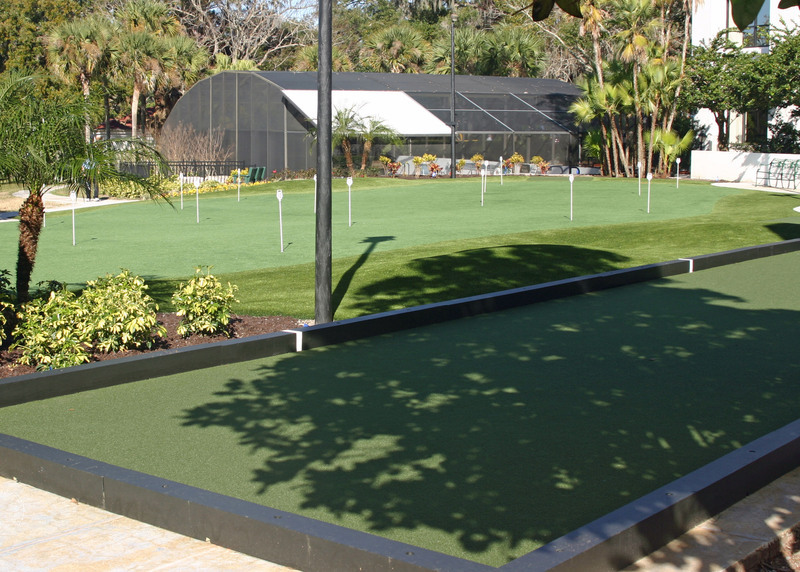 Tour Greens offers knowledgable, friendly staff that has extensive experience in the design and installation of commercial golf greens, tee lines and hitting mats. 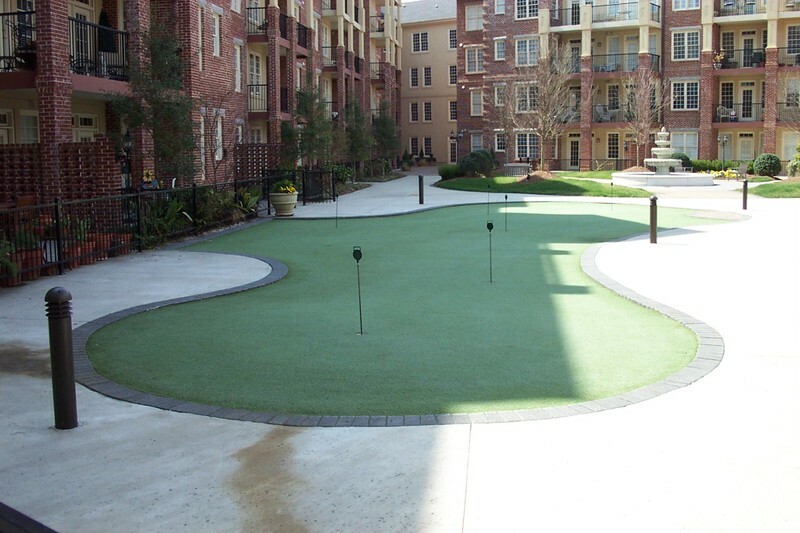 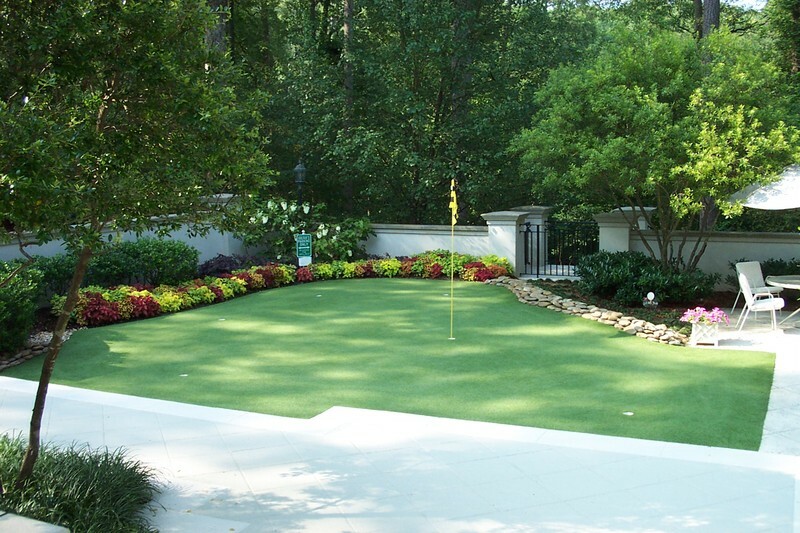 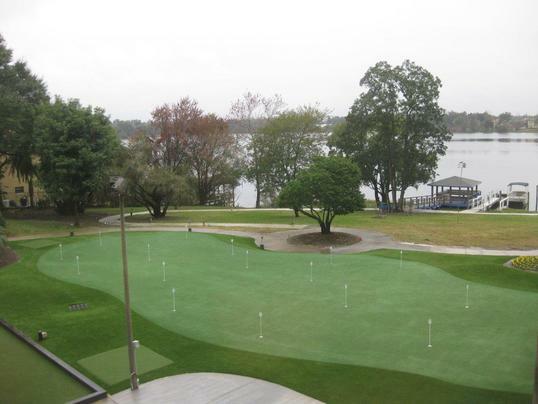 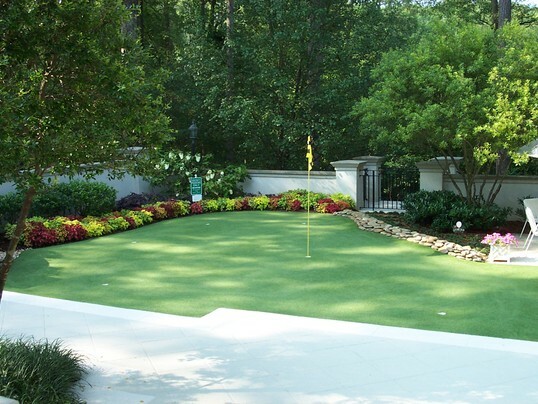 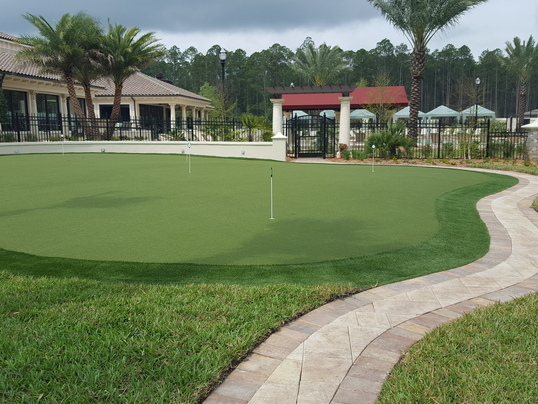 Each project is built by certified Tour Greens installers and will match your performance requirements, aesthetic needs and exceed expectations.